'How do you canoe over mountains?' asks Tod Bolsinger. 'You don’t. If you want to continue forward, you change' (34). 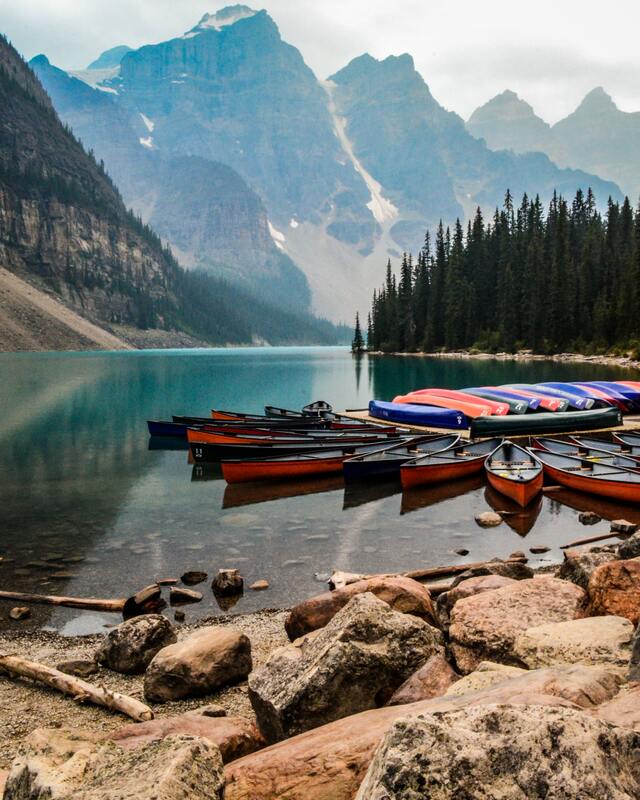 Canoeing the Mountains is about 'the kind of leadership necessary for the local church to take the Christian mission into the uncharted territory of a post-Christendom world” (34, 35). Tod Bolsinger is a vice president for vocation and formation at Fuller Theological Seminary, and teaches practical theology there. He is an ordained Presbyterian minister, and has served as the senior pastor of San Clemente Presbyterian Church, and the associate pastor of discipleship and spiritual formation at First Presbyterian Church of Hollywood. Boslinger uses the experience of Lewis and Clark, and their expedition to find the Northwest Passage, as a metaphor to describe how leaders in the Christian Church must move it forward in a culture that is radically difference than what they were trained for. Lewis and Clark were expecting to portage from the Missouri River to a western-flowing river that would take them to the Pacific coast of North America. But after navigating the length of the Missouri, when the expedition reached the top of the Lemhi Pass, they were totally unprepared for what they saw. Instead of the land gently sloping toward the Pacific, the Rocky Mountains loomed before them, and extended farther than they could see. And they were not trained nor equipped for this part of the journey. Immediately Lewis and Clark had to change their whole approach to the task ahead. They had to trade canoes and paddles for horses to ride through the mountains. “Lewis and Clark and the Corps of Discovery were about to go off the map and into uncharted territory. They would have to change plans, give up expectations, even reframe their entire mission” (27). Likewise, Christian leaders in the 21st century have to change plans, give up expectations, and reframe the mission. “What is before us and what will give us success is totally different than what is behind us.” This demands a radical shift in how we conceive of ministry today. “As pastors, we were trained to teach those who come on their own, to care for those who call for help, to lead those who volunteer and to administer the resources of those who willingly give and participate. Now we are called on to minister to a passing parade of people who treat us like we are but one option in their personal salad bar of self-fulfillment. To do so will take a significant shift in thinking about pastoral leadership” (28). Bolsinger writes his book to help Christian leaders make that shift. As with most books on leadership, Bolsinger offers his own definition of leadership. “Leadership is energizing a community of people toward their own transformation in order to accomplish a shared mission in the face of a changing world” (36). He also describes how the focus of leadership has changed from speaking in the Christendom world to a multi-dimensional approach that is apostolic, relational, and adaptive (37). To thrive in the post Christendom world, leaders must “learn to let go, learn as we go and keep on going no matter what” (14). Because we are in uncharted territory, we do not know what will succeed in the future. So constant learning, adaption, and innovation are vital to success.